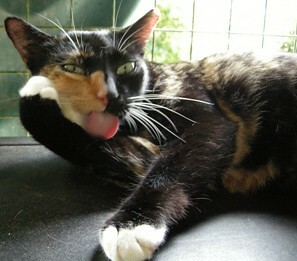 Becky is a quiet and reserved young adult female looking for a home. 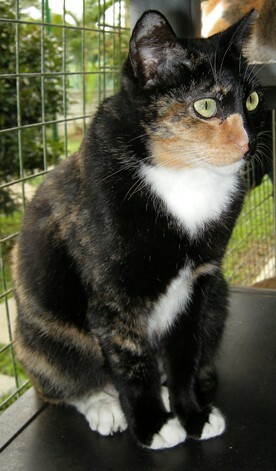 Becky is a female tortie with a chest crest and mittens. She also wears a mid-length tail. 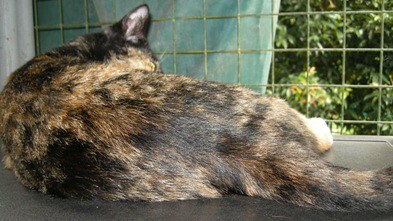 Due to her unique and lovely coat, she looks like different cats from different angles. 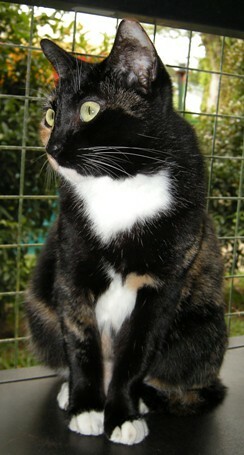 She has learnt to live in the shelter where she will be safe while waiting for her new home. But she still does not understand why she was abandoned and kept trying to find her owner. She loved young girls about 8 to 10 years in age and always attempted to follow any who passed by. She was probably an only cat who was used to being the focus of attention. She is extremely unhappy to be among other cats and would do well as an only cat or in a home where there are only 1 or 2 other cats who are not aggressive. Becky is estimated to be about 1.5 to 2 yrs old. She is sterilised, vaccinated and litter-box trained. 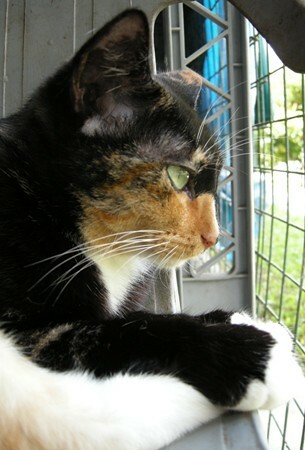 This entry was posted in Animals, Becky, Cats, Homeseekers / Adoption, Pets, Singapore and tagged adoption, Cats, Singapore. Bookmark the permalink. 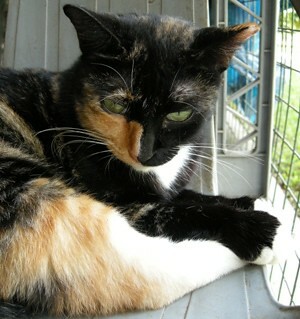 this looks like my old cat willow!!!!!!! !I love your cat!!!!!!!!!!!! !